While it is a relatively new product on North American store shelves, konjac foods have actually been around for hundreds of years. 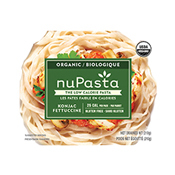 With NuPasta, and many other konjac-based foods gaining in popularity because of the many health benefits they offer (low calorie, high fibre, gluten free), consumers are becoming more intrigued by konjac foods and their origins. They are popping up in grocery stores everywhere, and people are interested in learning more about this food option. 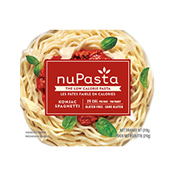 Since NuPasta is made from the root of the konjac plant, we thought it would be a good idea to give you some more information about the history and evolution of konjac foods. Referred to as Konnyaku in Japanese, konjac foods are a dietary staple in Japan. However, when it was initially introduced about 500 – 800 years ago, it was considered a delicacy and only available to the royal family in Japan. It is widely believed to be first introduced by China as a medicinal food that was eaten for therapeutic reasons by Buddhist monks. It wasn’t until about 100 years ago that konjac became available to everyone in Japan, and since then it has grown into one of the most popular types of food in the country. It is available in many different forms, with various types of noodles being the most common way konjac foods are consumed. Today, konjac foods are a staple in Japan with entire grocery store aisles dedicated to it (similar to the pasta aisles here in Canada). 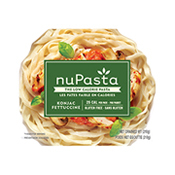 Konjac foods are popular in many Asian countries, and it is also becoming popular in North America through innovative foods like NuPasta and many other konjac-based products. The konjac plant (Amorphophallus konjac) grows in Japan on slopes 2000 to 4000 feet above sea level. The edible part of the konjac plant is the root. It resembles an oval shaped yam potato or taro, and it mainly consists of fibre with very little starch. To become edible, the root of the konjac is dried and milled into a fine powder, creating konjac flour – the main ingredient of NuPasta. With minimal calories and high dietary fibre content, food made with konjac flour is the perfect alternative to high calorie starches. Hopefully this answers some or all of the questions you had about konjac foods. If you have more questions, don’t hesitate to contact us to learn more. 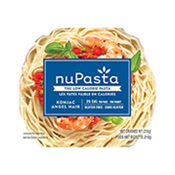 Want to try NuPasta? 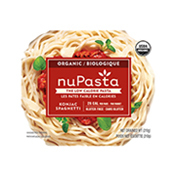 You can purchase NuPasta at these store locations, and make it part of your weekly diet.